A 100% Member-Owned Cooperative of quality solar PV installers, integrators, EPCs, and developers who innovate, collaborate, and work together to set higher standards for the solar industry. 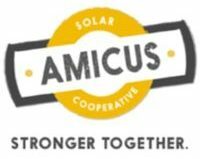 Amicus was founded as a solar cooperative in 2011 with a plan to support regional solar companies and help counter climate change. The group has grown over the past seven years, with 50 members, spanning 34 states, along with Puerto Rico and Canada. Southern Energy Management is proud to have been a member-owner of Amicus since the beginning. The benefit of being part of the group is unquestionable. 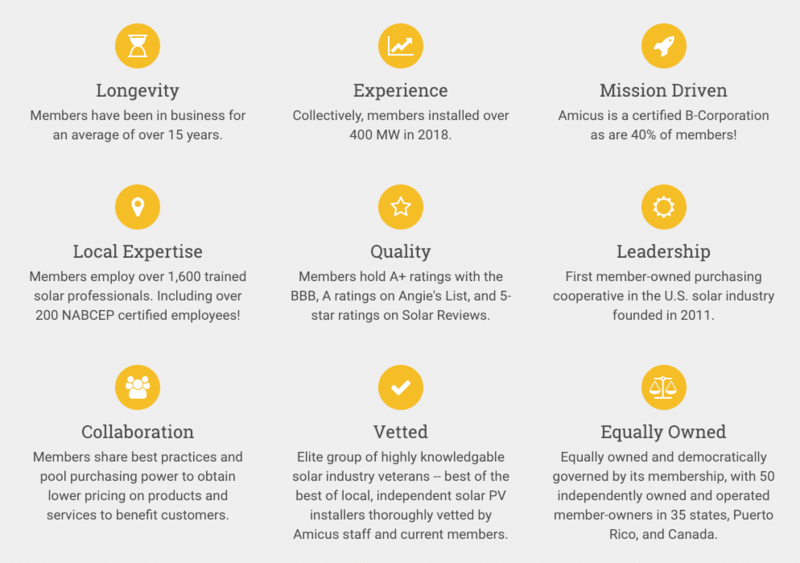 Amicus is a source for the solar community to grow and learn together. Through their promotion of a healthy productive workplace while also being environmentally minded, Amicus has earned the distinction of being a certified B-corp as well. 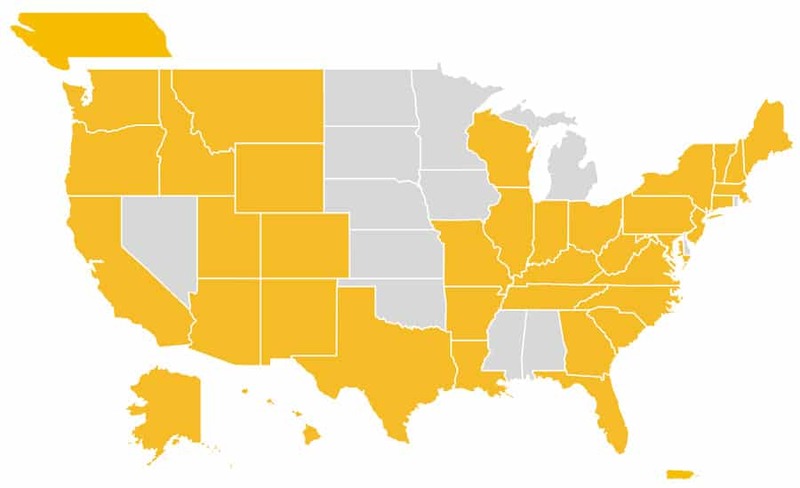 In addition to bringing the best minds in the solar community together, Amicus membership also plays a big role in purchasing solar material. For example, when the solar tariffs were imposed early in 2018, it caused alarm from some. However, through our membership with Amicus, we were able to buy bulk and keep prices steady through the first wave of the tariff. Amicus has truly become a vehicle for change, helping progress the solar community and expand the reach of green energy. We look forward to continuing to collaborate with our partners in the solar industry to propel positive impact and set high standards for quality and integrity. WHY CHOOSE AN AMICUS MEMBER?